In the 1940s, the St. Thomas Housing Project provided housing for low-income residents of New Orleans. But by the 1980s, it had become one of the country’s most dangerous developments. After Hurricane Katrina, the project received grants from several government agencies to revitalize the neighborhood. The funds helped build affordable and sustainable housing where St. Thomas once stood. The new housing, known as River Garden Apartments, is a mixed-income development that stretches eight blocks and spans almost a square mile. It’s also the largest solar project in Louisiana, as well as the largest solar neighborhood in the southeastern United States. Pontchartrain Mechanical Co. installed 420 KW of photovoltaic systems on the development’s roofs. Installing PV systems on multiple roofs, each with a specific configuration and mounting angle, posed a challenge for the company. 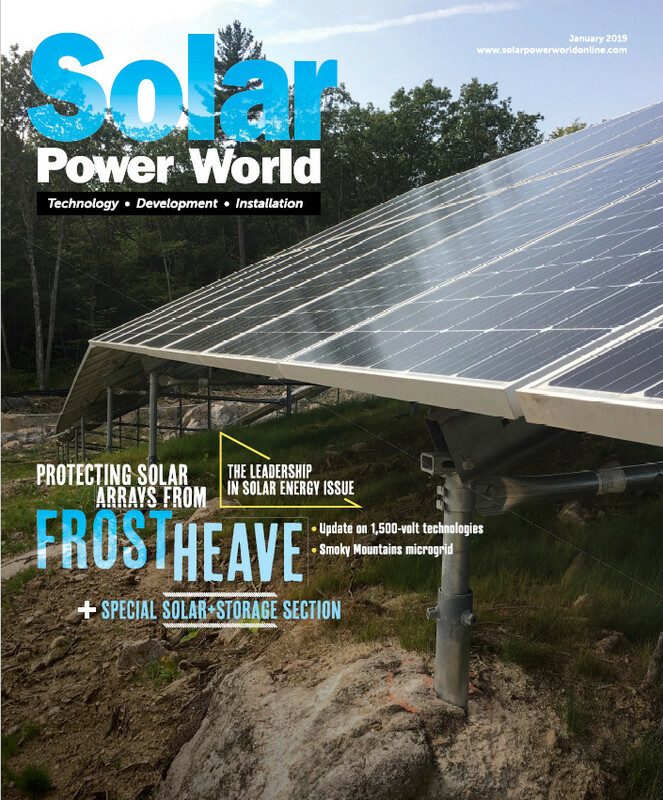 Turning to SolarEdge’s power optimization system allowed using maximum roof space for optimum power harvesting, even in areas with partial shading or obstructions. Generating maximum power from each module, independent of type, string length or mounting angle, was key to the project’s success, the company says. The SolarEdge system monitors the numerous arrays through built-in, real-time performance data at the module level. The system automatically provides web-based alerts on underperforming modules and faults, and pinpoints affected modules on a virtual site layout map. Also, the system’s SafeDC mechanism keeps residents, installers, maintenance personnel and firefighters safe. Damaged arrays could potentially start arc faults and home fires. SolarEdge guarantees a safe installation with its inverters and power optimizers. This has special importance in hurricane-prone areas where flying debris resulting from high winds can damage solar installations. The residents of the apartments pay $0.10/KWh of electricity. The solar installations on each home were combined, which enabled a volume discount for further reduced electricity costs. Residents are expected to save an average of $50 per month in utility bills.